Frank Sinatra would have celebrated his 100th birthday on December 12, 2015. Since he was a big fan of Palm Springs, this fall and winter, a variety of Greater Palm Springs resorts, restaurants and attractions are paying tribute to the “Chairman of the Board” with festive activities, ‘his way’ signature cocktails and dishes, Rat Pack-inspired parties, custom hotel packages and a lively Jack Daniel’s pub crawl. The legendary crooner and his Rat Pack friends made their second home in Palm Springs for nearly 50 years. He commissioned the most sought after architect of the day to design and build his luxurious Twin Palms house. Palm Springs has been Hollywood’s desert playground, where celebrities relax and escape from the pressures of showbiz. The Hollywood Studios created a “Two-Hour Rule,” where actors under contract had to be available within two hours. That made Palm Springs the perfect destination to relax in the sun, swim in a pool, drink cocktails at sunset and roam Palm Canyon Drive. The Riviera Palm Springs was a favorite for Sinatra and his fellow Rat Packers. 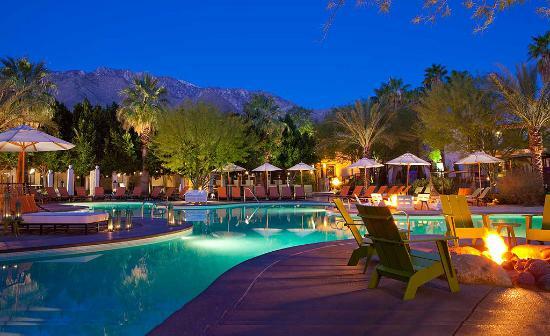 Sinatra hosted several charity events and dinner parties at this quintessential desert resort. Starting Sept. 26 through December 12, visitors and fans will be able to honor “Ol’ Blue Eyes” on selected weekends. The Sinatra Series begins with a double feature on Saturday, September 26. Guests can watch the original Ocean’s 11 featuring Sinatra, Dean Martin and Sammy Davis Jr. Retro cocktails and snacks will be available. During intermission there will be special musical entertainment before the screening of the newer Ocean’s 11, the 2001 version with George Clooney, Brad Pitt and Matt Damon. This event will start at 6 p.m. at the Chiki Pool. Special rates for event attendees are offered through September 30, 2015. When booking your reservation, please reference “group code” for Weekend at Sinatra’s: 50O35C. On Saturday, October 10, during fall preview Modernism Week, Frank Sinatra’s daughter Nancy and Amanda Erlinger serve as honorary co-chairs for locals and tourists to experience the Rat Pack Experience. It will be a swinging 1960s style soiree that benefits the Palm Springs Art Museum Architecture & Design Center. Sip martinis, nibble on hors d’oeuvres, and have fun in the photo booths while dressed in your best Vegas high roller ’60s finery. Guests can dance to the tunes of DJ Baz. The legendary Twin Palms, the former estate of Frank Sinatra, located in the Movie Colony in Palm Springs, is available for private tours by the Palm Springs Preservation Foundation on Oct. 11. Purchase advance tickets at www.modernismweek.com. 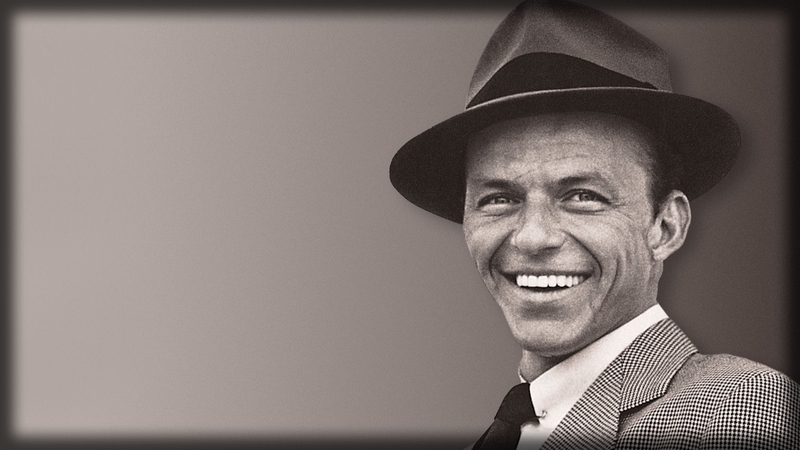 Embark on Celebrity Tours’ “Sinatra on Saturday” three-hour tour starting November 1, every Saturday. See the homes that Sinatra owned or frequented while in the desert. You’ll view more than 50 homes during this driving tour, including those of Dean Martin, Elvis Presley, Bob Hope, Elizabeth Taylor and Marilyn Monroe. Tours can be reserved at www.palmspringsalive.com. Sinatra hired Chef Johnny Costa as his personal chef while he was in Palm Springs. 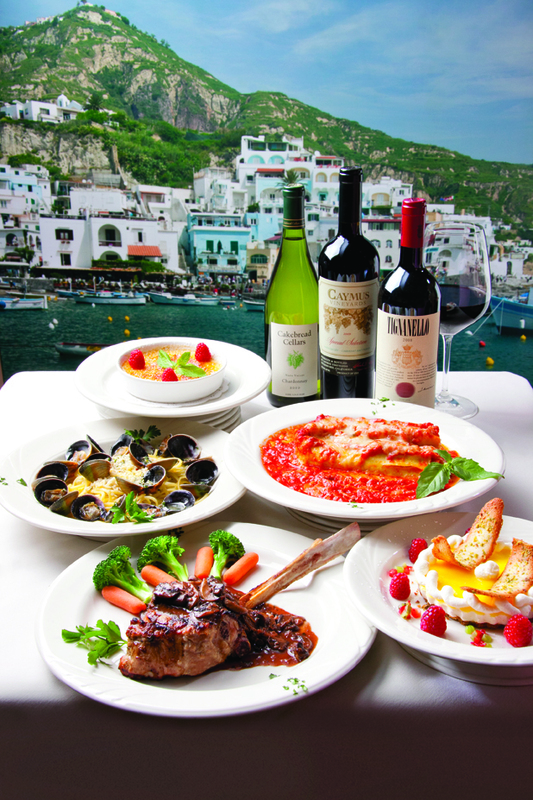 Later, Johnny Costa opened his own restaurant and served locals and visitors two of Sinatra’s favorite dishes: Clams Linguini and Steak Sinatra. The bar serves Jack Daniel’s Special Edition on the Rocks. The warm nostalgic atmosphere with dark wood, soft lighting and candle lit romantic booths attracts a lot of regulars. 440 S. Palm Canyon Drive (760)325-4556. On Frank Sinatra’s birthday, December 12, the Riviera will host a pub crawl with some of Palm Springs’ best bars and restaurants participating. There will be a contest for the “best drink” among the bartenders. Be back at the resort by 7 p.m. for a cocktail party and dinner in Grand Ballroom. At 8 p.m. there will be special toasts to Frank. Entertainment by James Darren aka Moondoggie. To learn more about Palm Springs, go to visitgreaterpalmsprings.com.